If you want to share your FileZilla bookmarks across multiple Apple computers you can accomplish this with Dropbox (or Google Drive, SkyDrive, etc.). The key is to move your sitemanager.xml and bookmarks.xml files to Dropbox, and create symbolic links on each computer to point to those files. Create a folder in your Dropbox folder for you FileZilla settings to (e.g. ~/Dropbox/FileZilla/). Move your existing bookmarks.xml and sitemanager.xml that you want to share from ~/.filezilla/ to ~/Dropbox/FileZilla/. 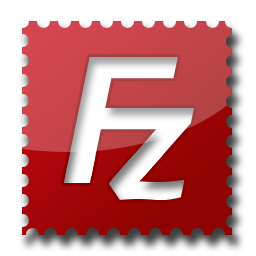 Start FileZilla and make sure everything is working. Create symbolic links similarly for the rest of your computers. Be sure to do this procedure on each Mac that you want to use the new files. Keep in mind, you are now adding a layer of risk to your web server. It maybe a small risk, but if someone gets into your Dropbox account they will have the passwords to login to your web server.